When Samuel joins forces with Tesla, Caitlin gives him an ultimatum and the team begins to unravel. 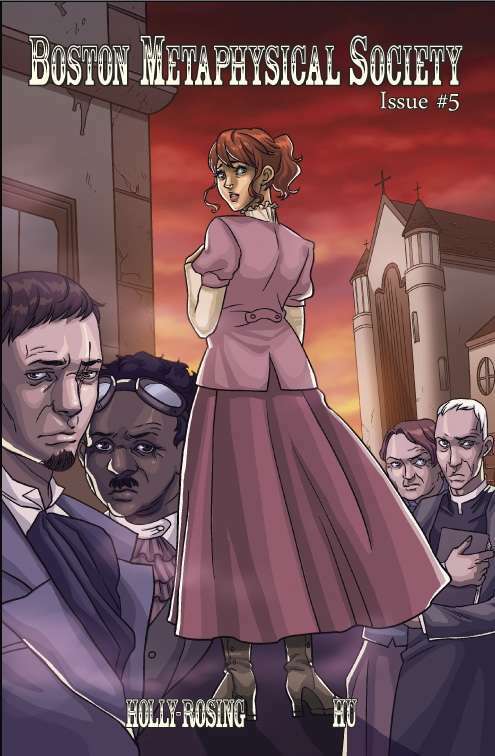 This is the fifth chapter in the steampunk supernatural six issue mini-series about an ex-Pinkerton detective and his spirit photographer partner who battle supernatural forces in late 1800's Boston. This special edition contains the complete fifth chapter plus over thirty (30) pages of bonus material including the script and commentary. Nominated for a 2012 Airship Award (SteamCon), a 2012 and 2013 Steampunk Readers' Choice Award and nominated for Best Comic/Graphic Novel at the 2014 Geekie Awards.